This is another tutorial under All in One Webmaster Premium Tutorial. In this tutorial I’ll show you how to find Alexa Rank Meta Tag Value which you need to put under “All in One Webmaster Premium’s” Webmaster Panel. 4. Select plan and pricing. I’m using “FREE” plan. 6. Complete your Order Process. 7. Now it’s time to Verify/Claim your site. 8. Follow steps mentioned in below diagram. 9. 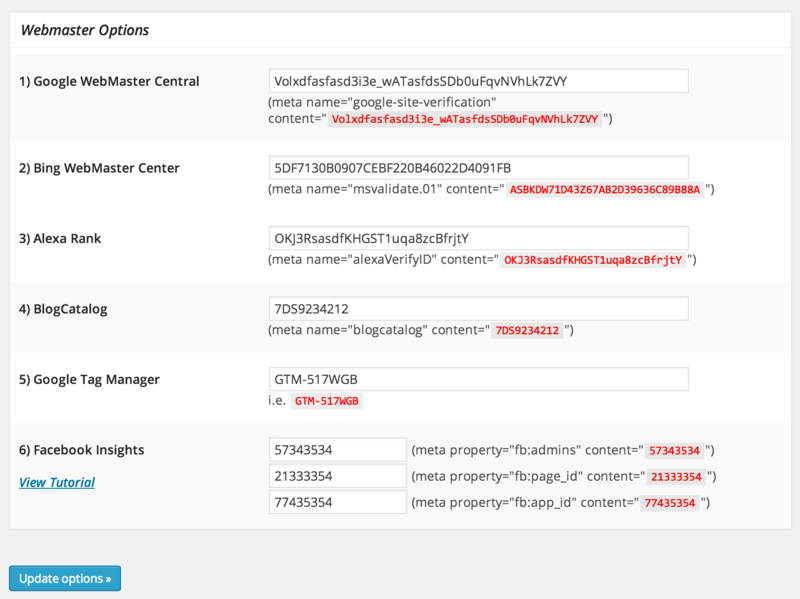 Copy value shown in above image to All in One Webmaster’s panel and save options. 10. If you are using any Cache plugin on your blog then clear your cache and you should be all set. 11. Click on “Verify my ID" as shown above in diagram and your status should be verified. Oh interesting. Thanks for pointing it out. We will update tutorial within few days. Thanks Budi. When i update the plugins, all the value that i have filled before is all gone. Didn’t realize it befor so should i let it as it is or, fill again by adding the sites and claim it again from every webmaster tool? Sorry to hear that. Yes, as version 9.0 was a major change you need to add all options again. Also, have mentioned it in upgrade notice. 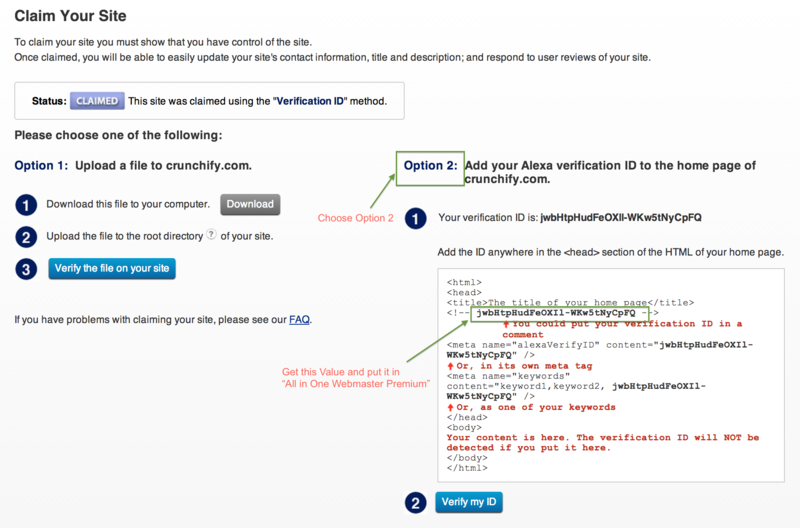 Ideally, almost all sites check for verification code few time in a week but not continuously – so you should be good. Just update it again you are all set.